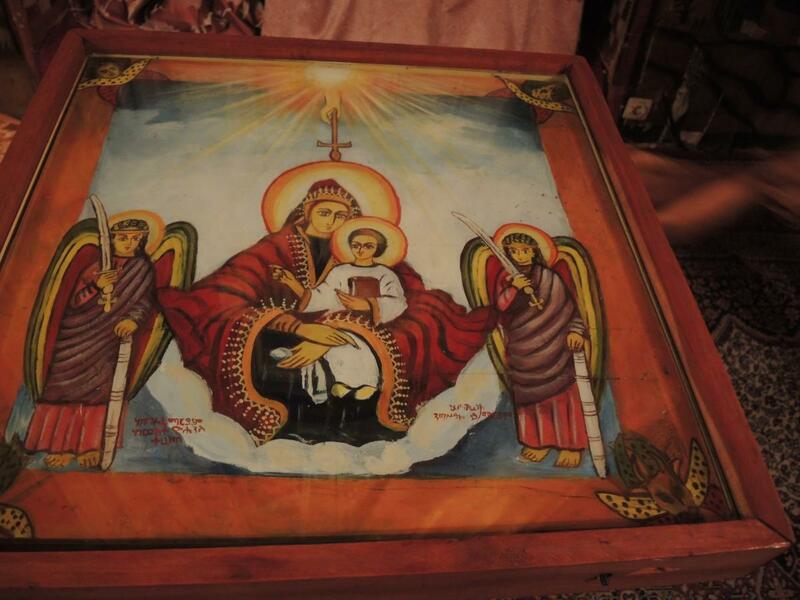 Icons, drawn in a distinctive Ethiopian style, are central to the visual culture of Ethiopian Orthodoxy. 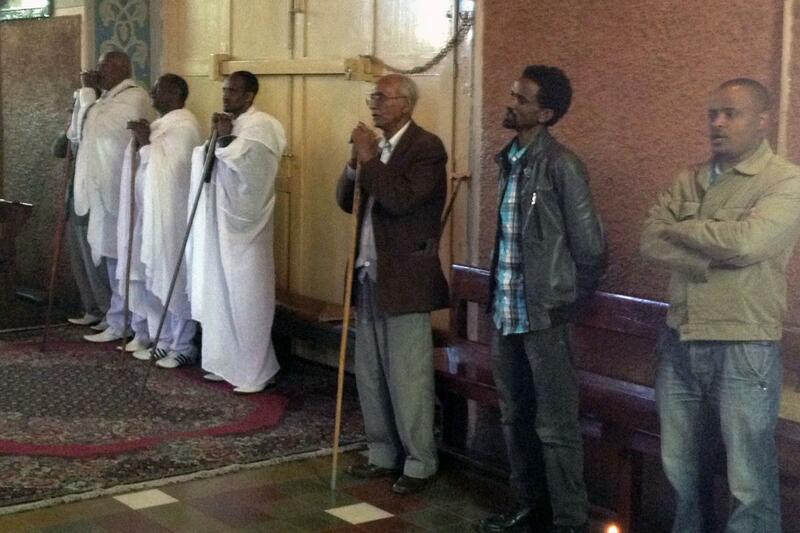 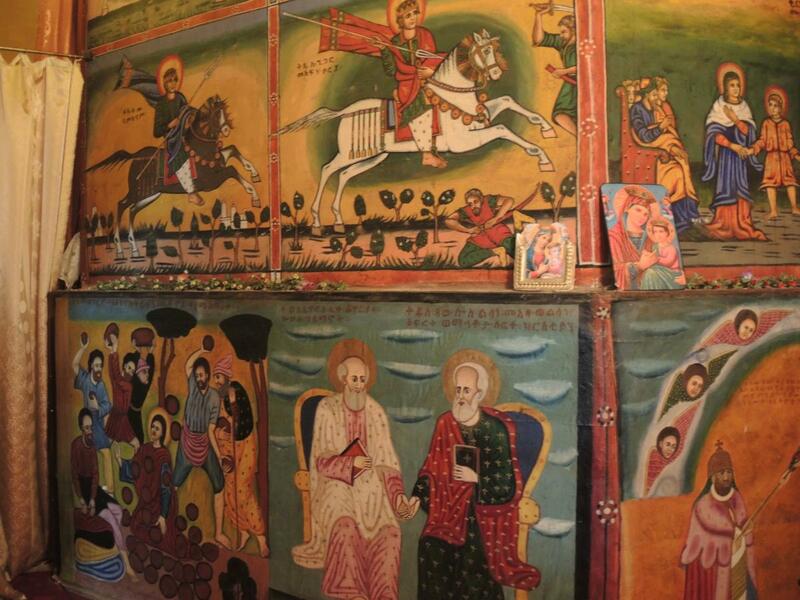 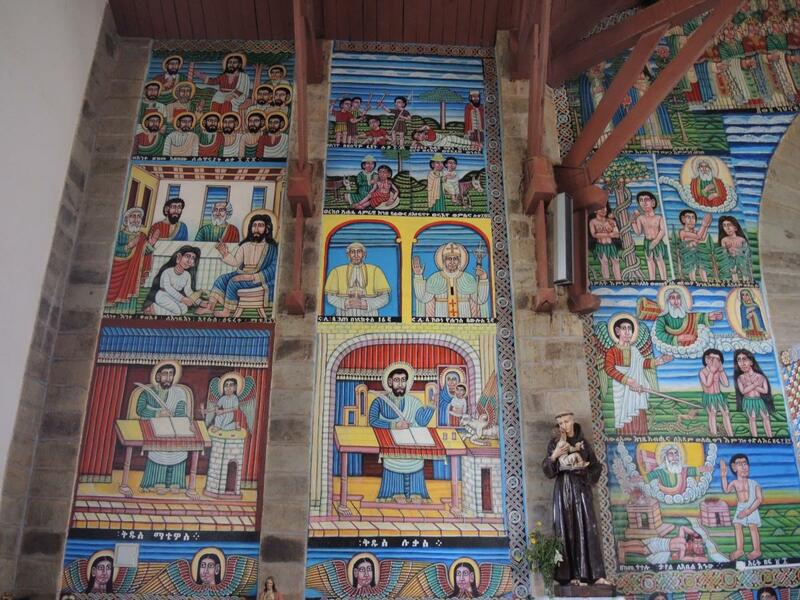 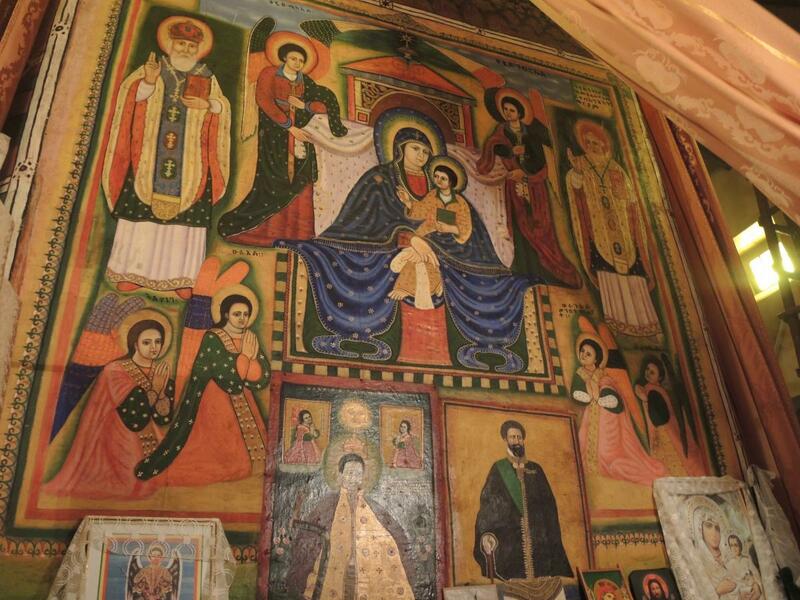 These depict a number of saints, both Ethiopian and from other Orthodox traditions, along with biblical scenes. 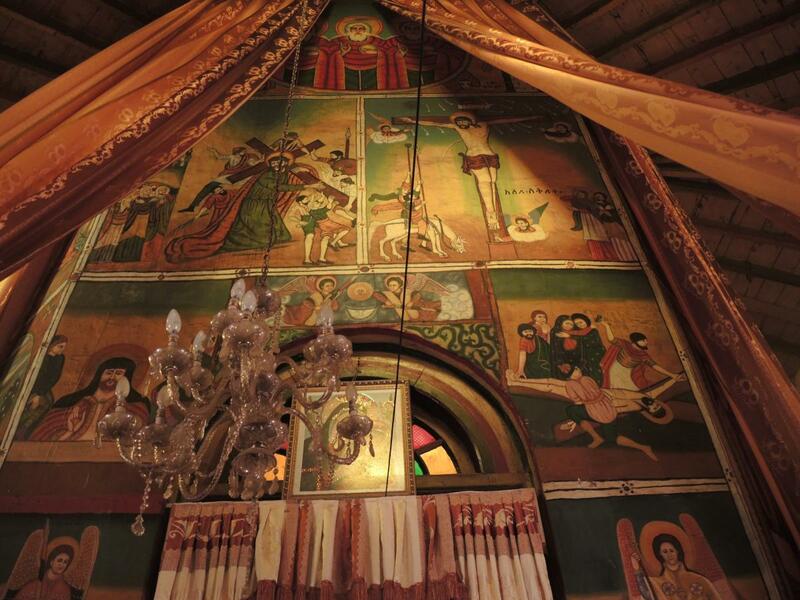 Madonna and Child images often feature prominently. 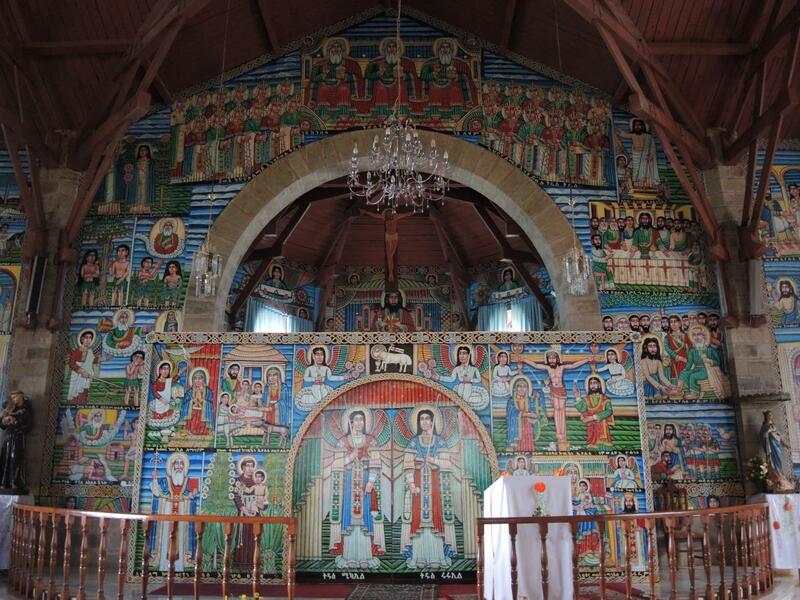 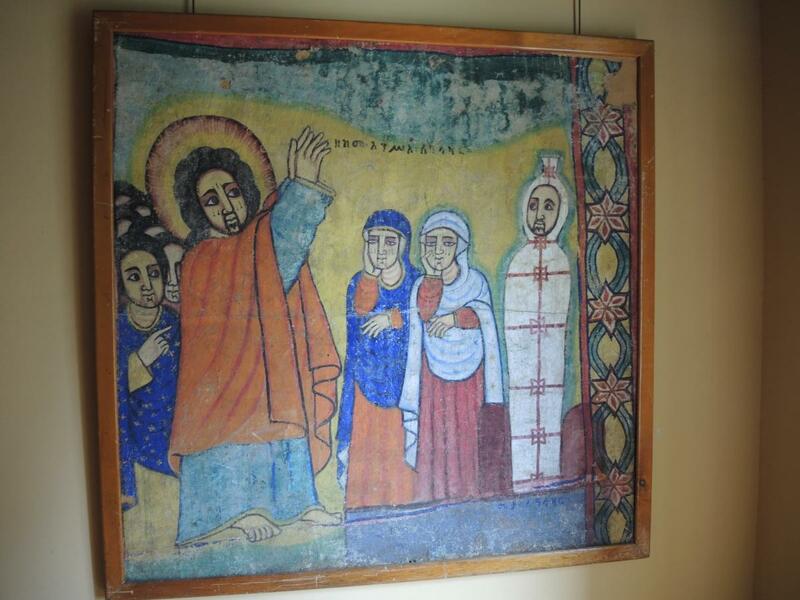 In the 20th century, Ethiopian Orthodox Church architecture and religious images were borrowed more explicitly from Europe. 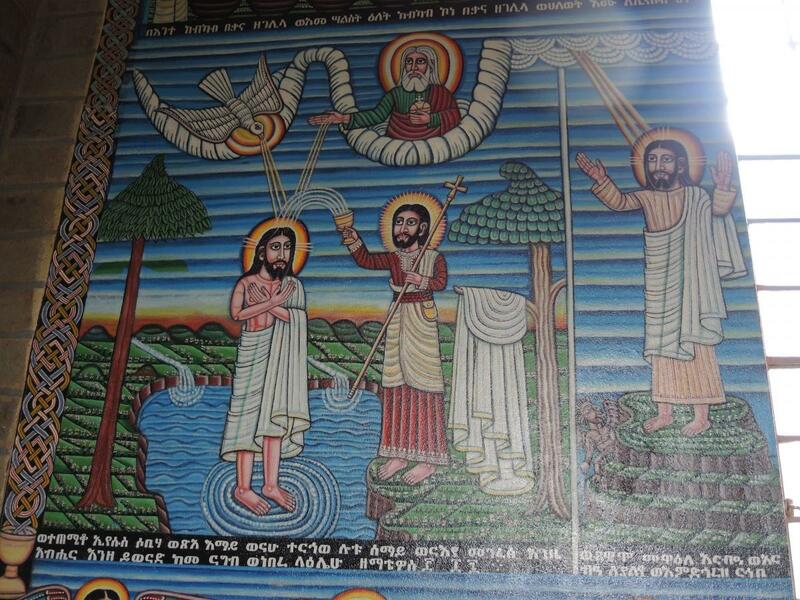 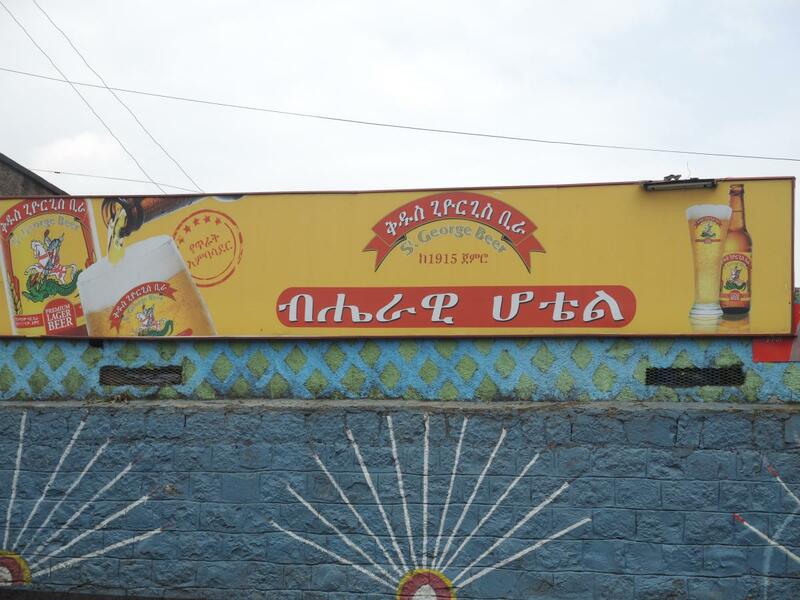 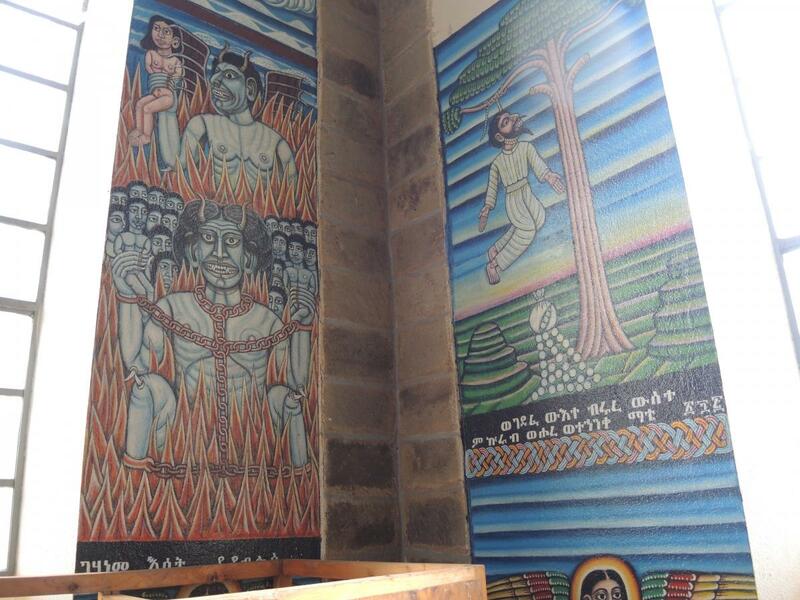 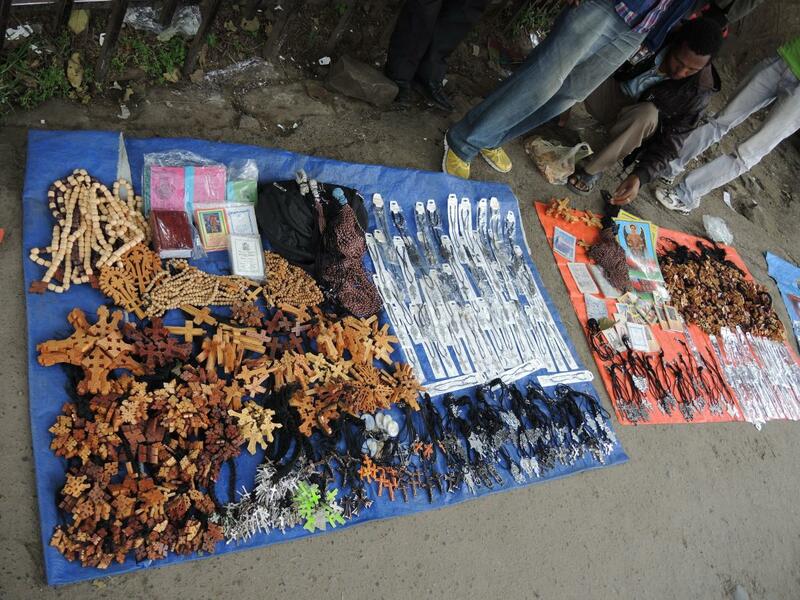 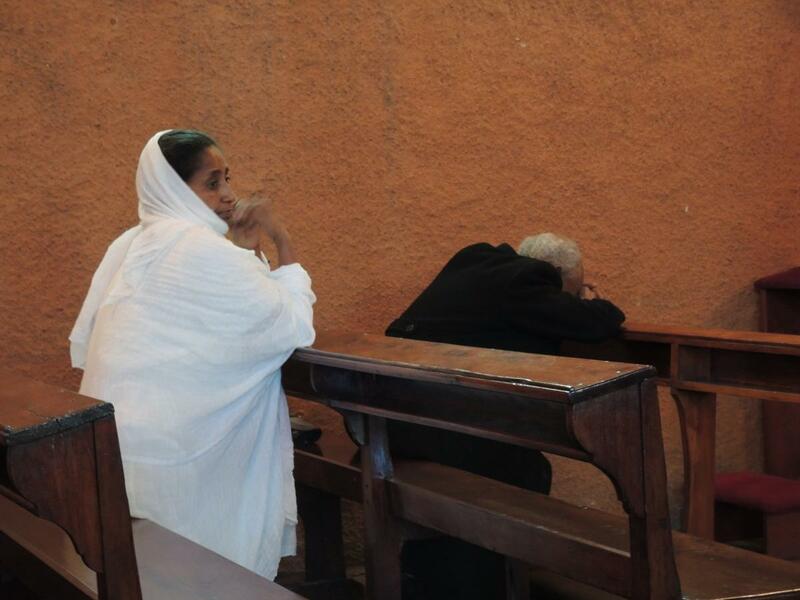 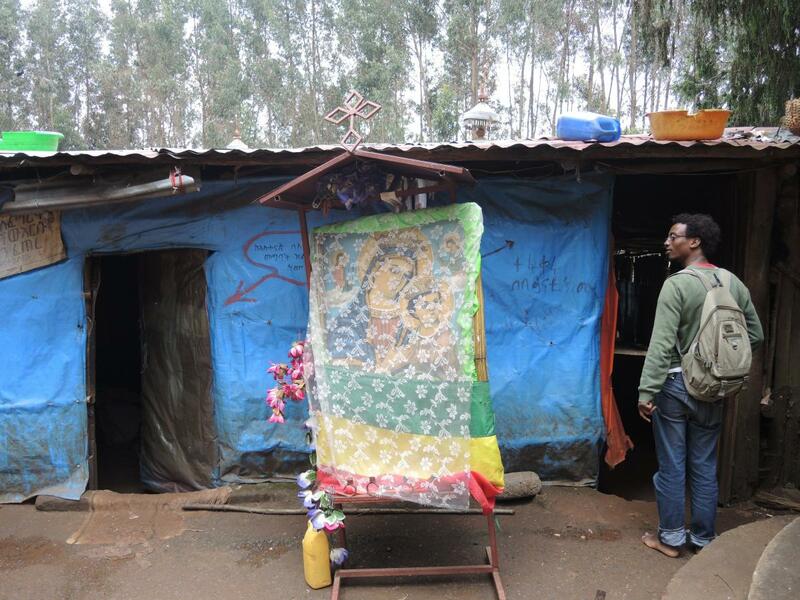 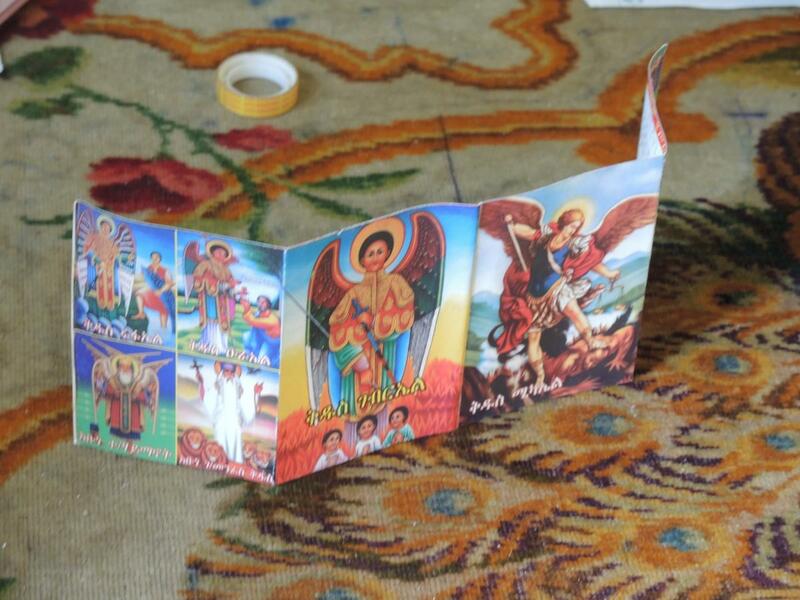 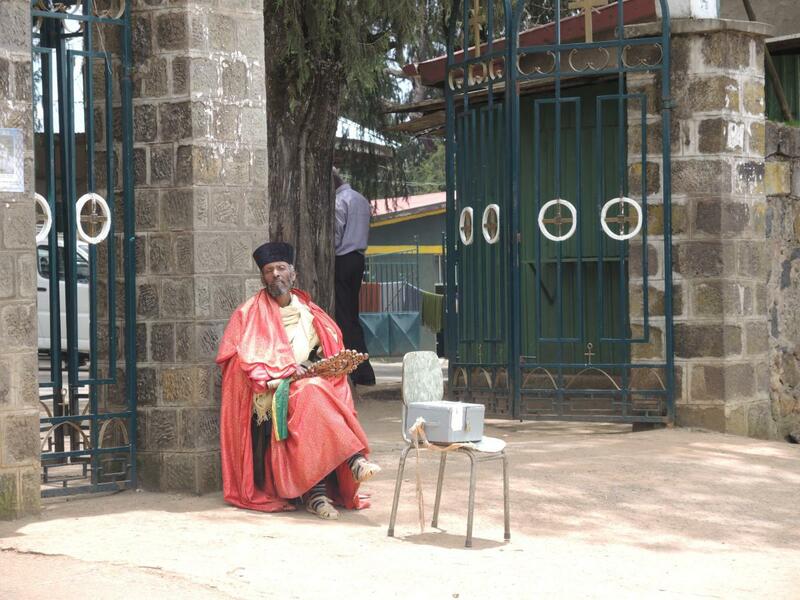 The style of representation in Ethiopian Orthodox iconography makes it easy to distinguish good from evil characters. 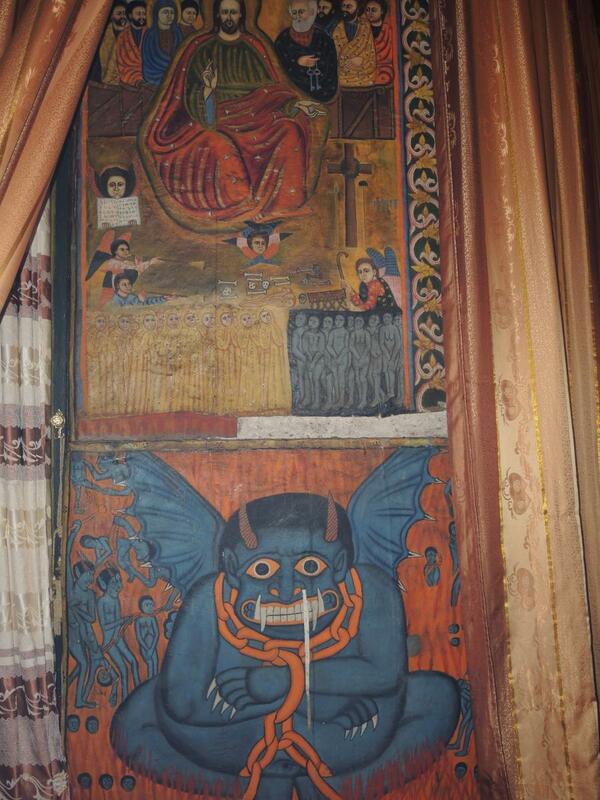 With few exceptions, evil characters are often shown in a profile with only one eye visible, whereas holy characters are always shown with two eyes visible. 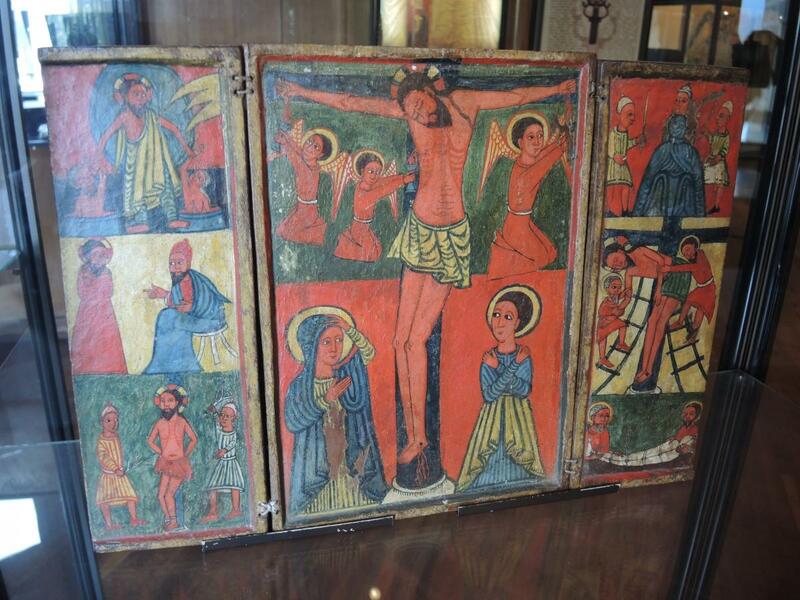 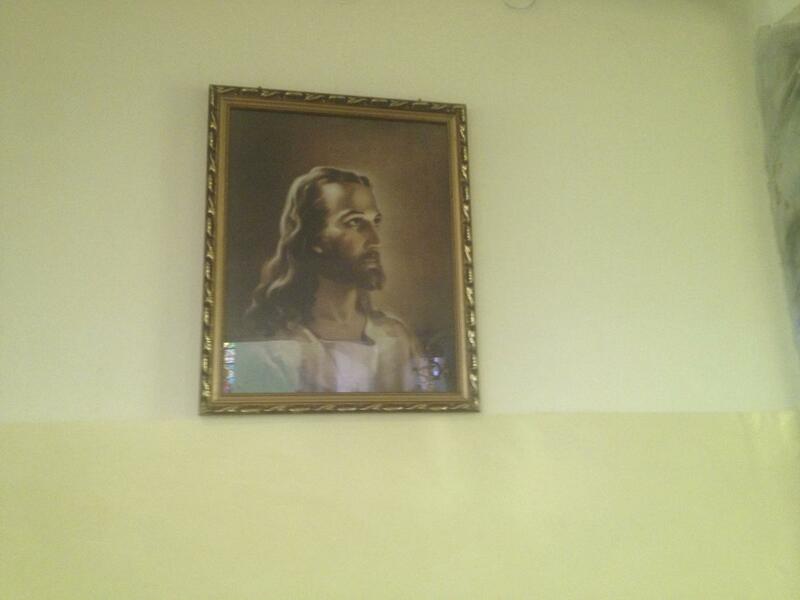 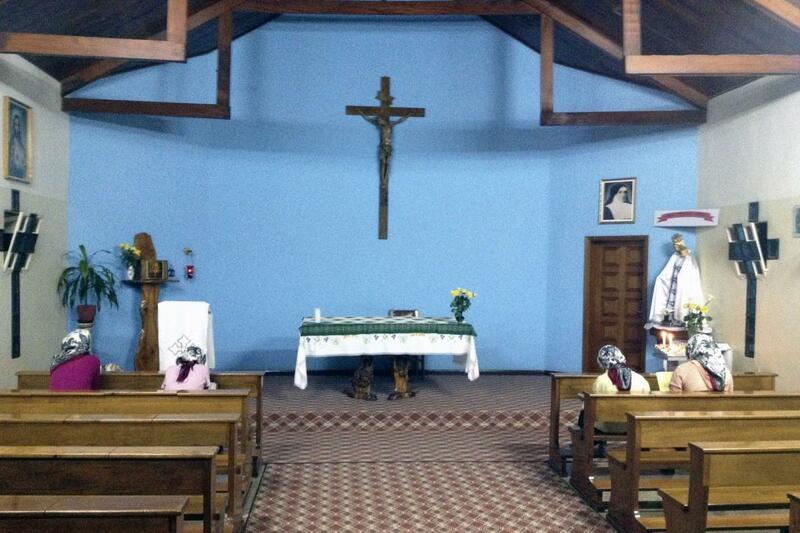 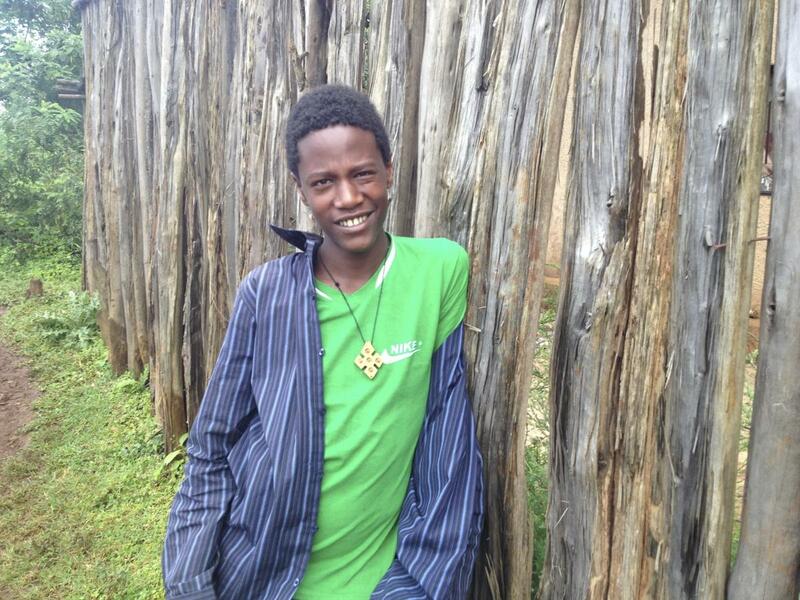 Catholic images borrow from both Ethiopian and European ones. 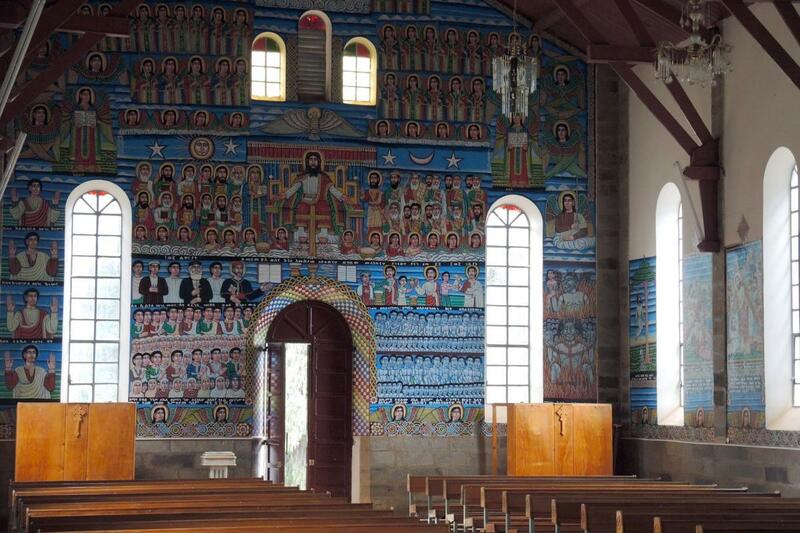 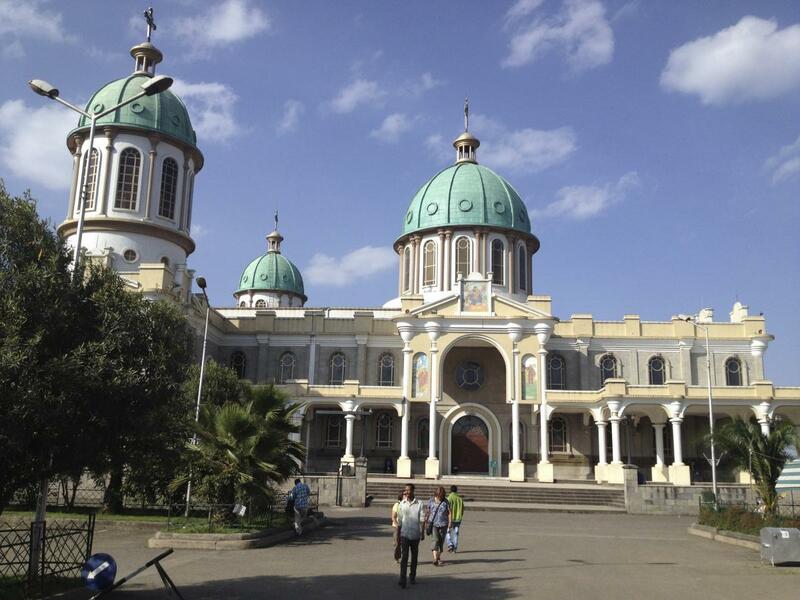 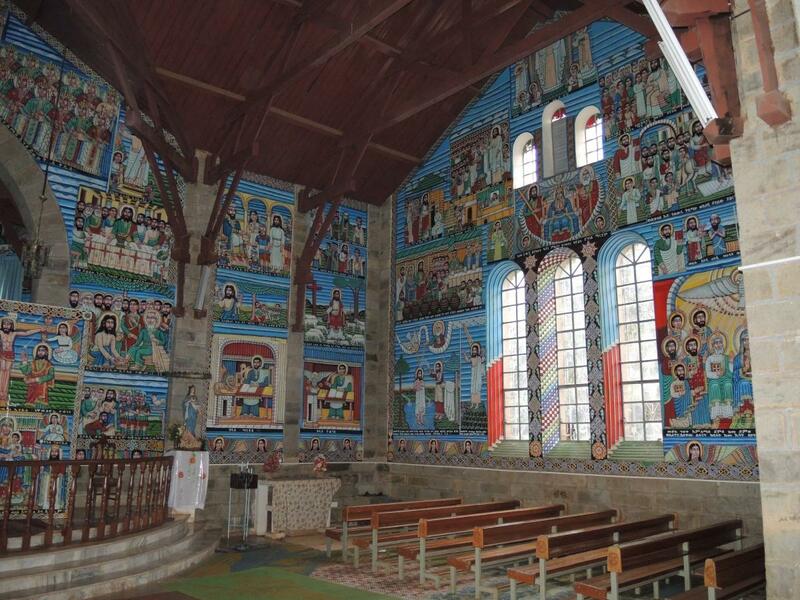 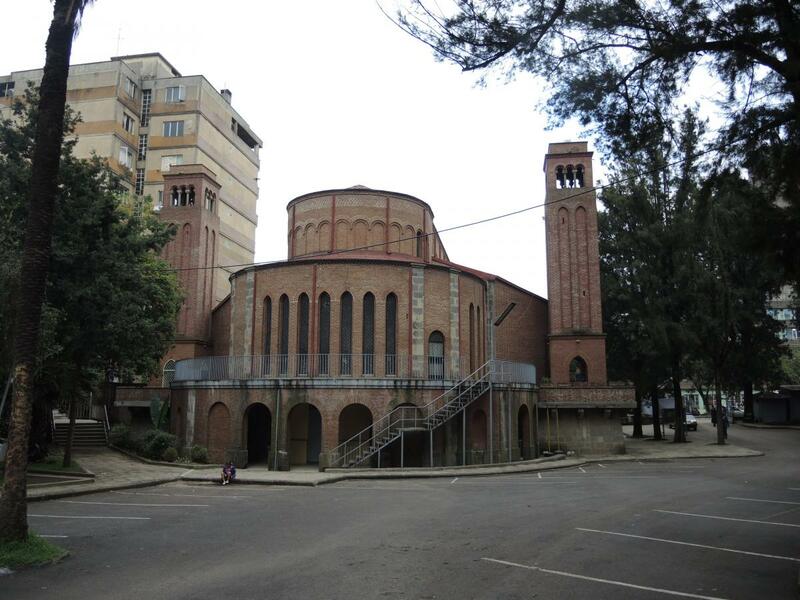 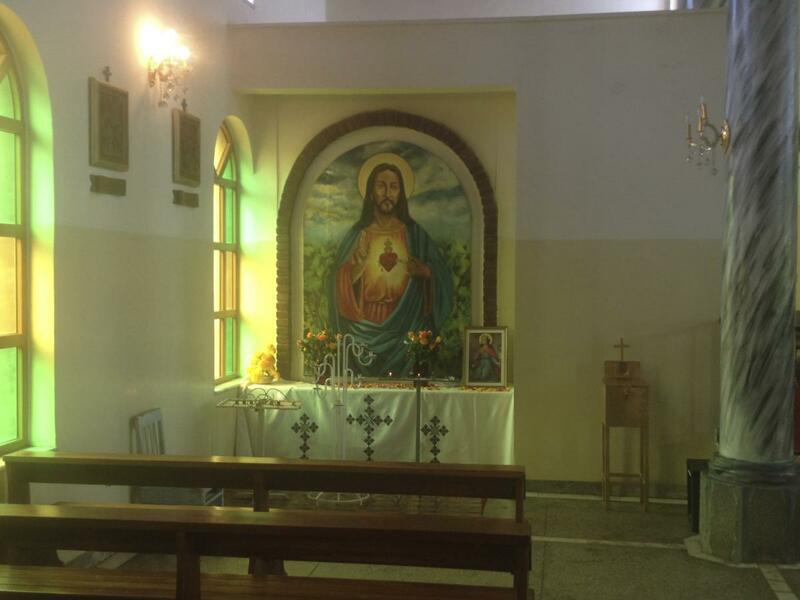 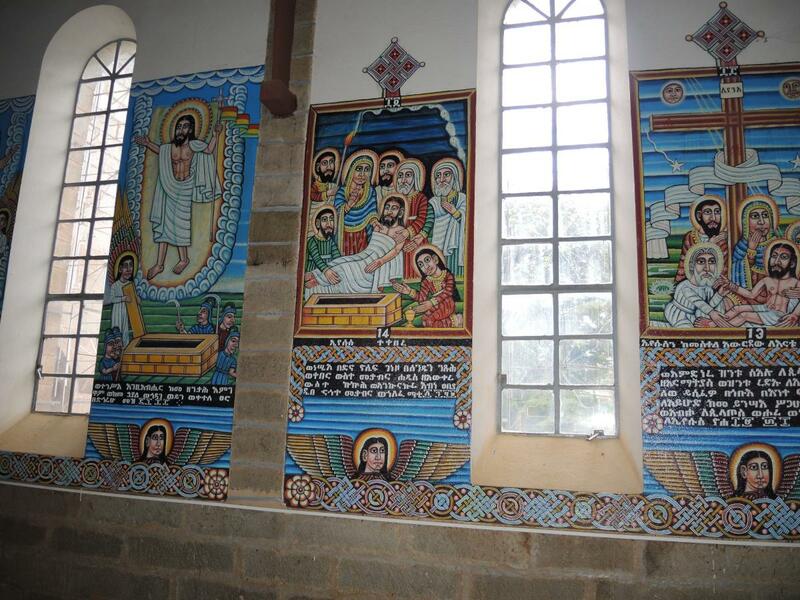 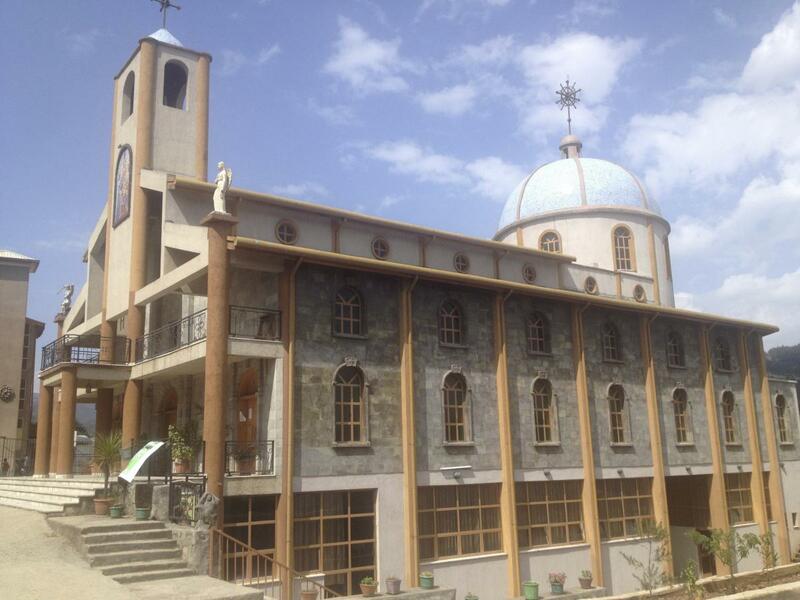 The cathedral of Addis Ababa was recently redecorated to update the Ethiopian iconographic style, while other Catholic churches borrow primarily from European styles. 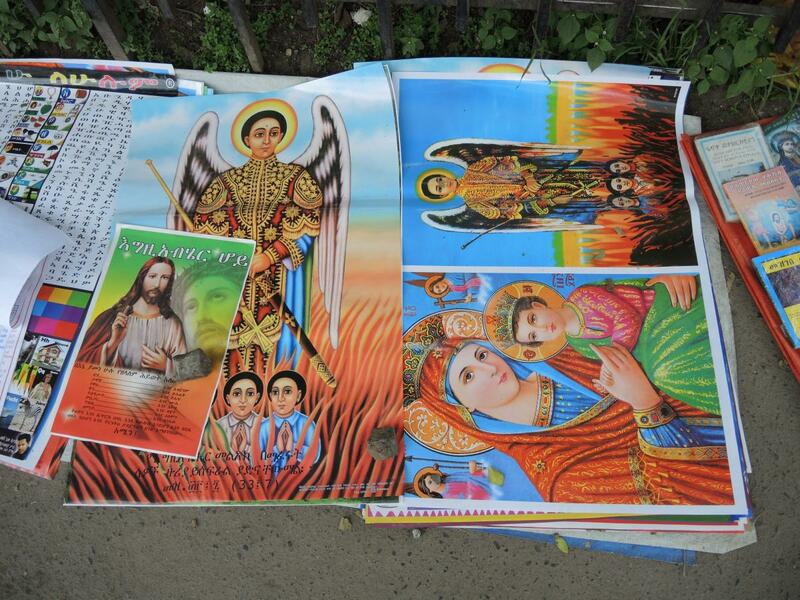 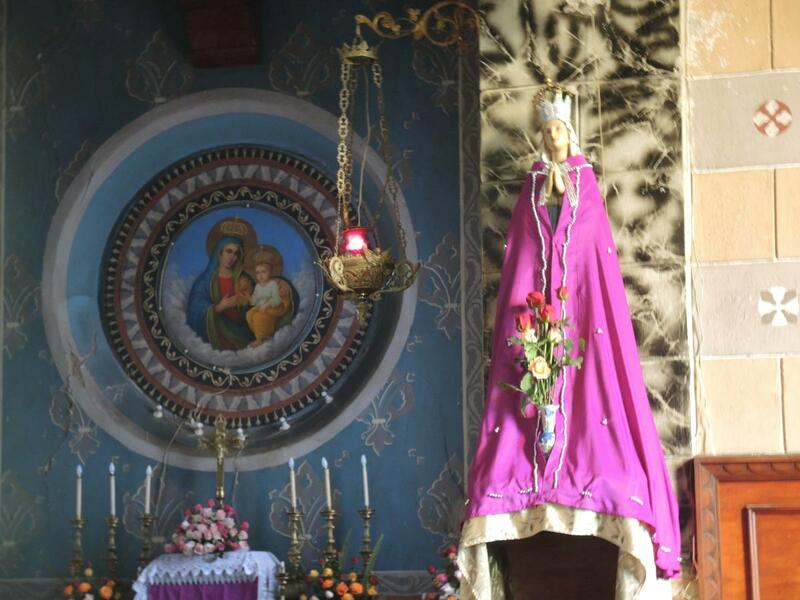 The result is that an image on a bumper sticker, window decal, inside a church, or on an icon is seldom an immediate indicator whether the image is Orthodox or Catholic. 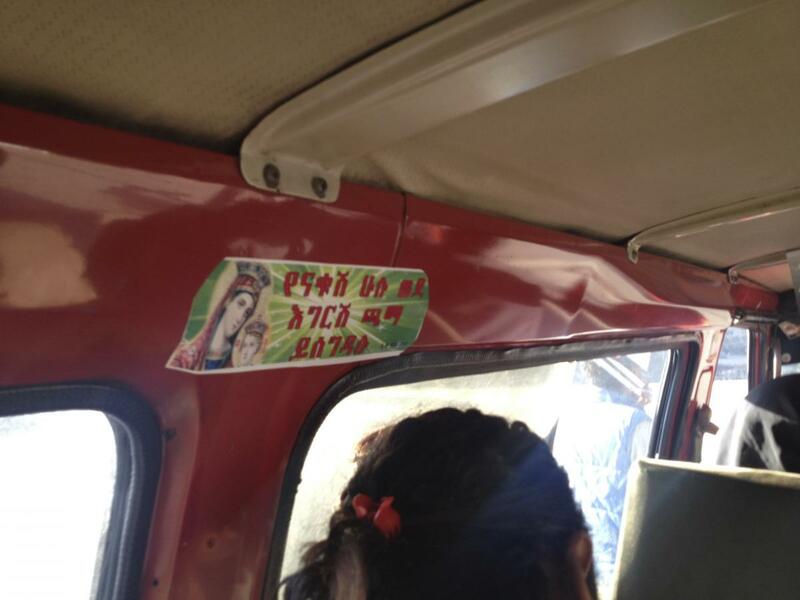 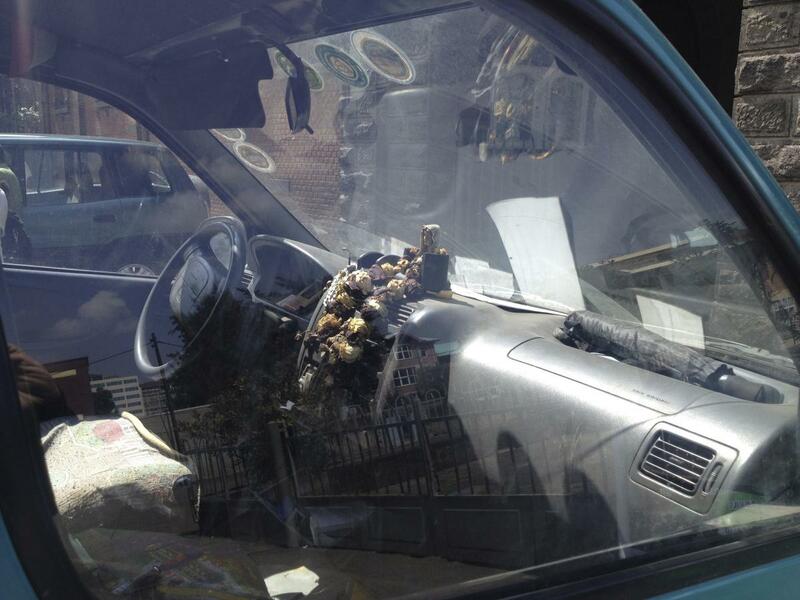 But whether Orthodox or Catholic (and given the demographics, the vast majority is Orthodox), Christian religion is often visible in public settings, whether in the form of crosses worn or images on buses, cars and trucks.